Around the globe, up to 50 million people suffer from injuries due to road accidents. Many of them also sustain disabilities as a result of their injuries. In the United States, such unfortunate incidents have become commonplace. After all, the country is home to 222 million registered drivers. In 2016 alone, car crashes led to about 4.6 million people sustaining serious injuries. Granted, many of these accidents result from distracted driving and speeding. But equally as dangerous is driving with a cracked windshield. That’s right. A crack in your windshield can put your life and the well-being of others at risk. We’re here to tell you how and why, so keep reading! The simple answer is no. Of course, the level of danger still depends on how massive the damage is. 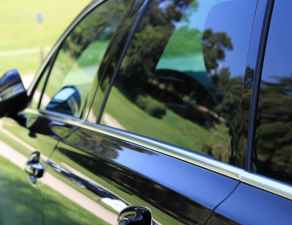 Not all cracks on windshields will already put you at serious hazard right then and there. But, that doesn’t mean you should ignore the damage. Keep in mind that even the tiniest hairline fracture will only get bigger over time. The more wind, rain, and snow you expose your damaged windshield to, the more pressure placed on it. All that added stress will then worsen the damage. That’s why it’s more of a question of how dangerous driving with a crack on your windshield is. Any type of damage on a windshield is unsafe. However, the bigger the crack is, the more serious the safety consequences are. A windshield acts as a barrier against weather elements, such as wind, rain, sun, and snow. It also protects everything and everyone inside the car from insects and birds (and their droppings!). But those aren’t the only functions of a windshield. It also keeps a vehicle intact and minimizes crushing impact during accidents. That’s right. A perfectly-working windshield contributes as much as 60% structural stability during a rollover and 45% in the event of a front-end collision. Those figures should already give you an idea on the dangers posed by a cracked windshield. Because it accounts for a huge percentage of a car’s structural stability, you’d want to keep it damage-free. Accidents can happen to anyone, at any given time. Why risk yourself and your passengers if you can get your windshield replaced ASAP? In 2016, motor vehicle crashes claimed the lives of 23,714 motorists and passengers. More than half of the victims aged 13 to 44 years old weren’t using their seat belts. Despite the obvious importance of seat belt use, there are still some 10% of people who don’t buckle up. This is where another life-saving benefit of a damage-free windshield comes into play. A windshield reduces the risk of ejection that usually follows a collision. In simpler terms, it keeps a person inside the car rather than thrown out of it with so much force. However, a windshield can only perform that function if it’s crack- or chip-free. Remember, it’ll most likely still sustain serious damage following a collision. If it’s already damaged before the crash, it takes very little to make it shatter or collapse. Most passenger-side airbags rely on a perfectly-working windshield for proper deployment. The latter acts as the backstop for the airbag to inflate towards the person. Keep in mind that airbags deploy with a considerable amount of force. This force can shatter a windshield with even the smallest crack or chip. If this happens, the airbag most likely will inflate out of the windshield, through the damage. In other words, a damaged windshield defeats the purpose of airbags. Incorrect airbag deployment won’t provide any level of passenger protection. Distracted driving takes many forms, and the use of a mobile phone is only one of them. Anything that distracts you from safe vehicle operation is dangerous. So, that crack on your windshield? That can be a source of distraction. After all, it can draw your attention, which means your eyes leave the road. Plus, cracks tend to reflect more sunlight. This then may result in blinding glare. If you’re wondering, “Can a cracked windshield shatter?”, yes, it can. Especially after the impact caused by a collision. The good news is, windshields today are specifically designed to hold shattered glass together. 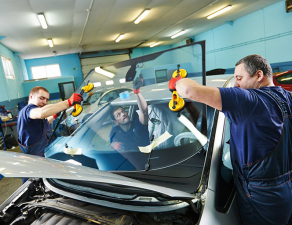 OEM windshields, in particular, use special adhesives keeping broken glass pieces glued together. The special lamination these windshields have prevents the glass from flying all over. So, even if the windshield shatters, the broken pieces shouldn’t rain on the car’s occupants. But that’s only true for windshields that have no prior damage. Previous cracks can reduce the effectiveness of adhesives in general. This then makes shattering and flying shards after a collision a possibility. As such, it’s not recommended you let too much time pass before you get your windshield fixed or replaced. The longer you wait to have that crack or chip fixed, the less effective the laminate will become. 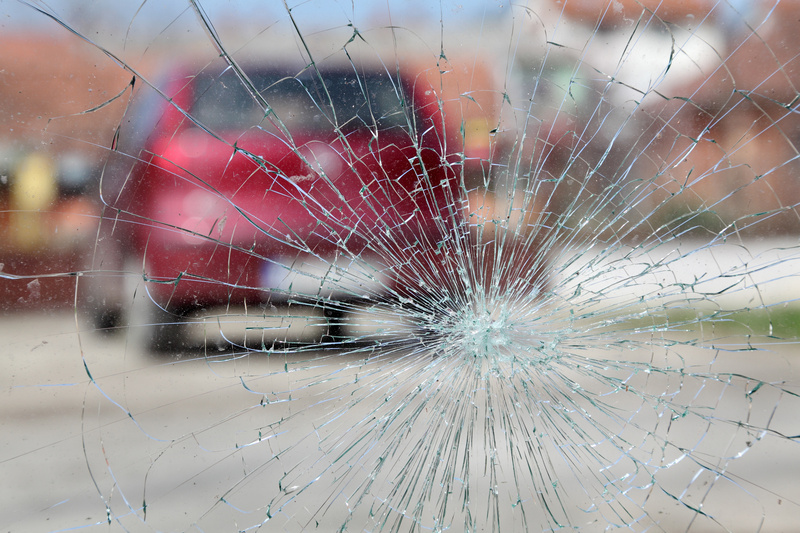 Depending on where you live, operating a vehicle with a cracked windshield may be illegal. You can’t drive a car that has a windshield with a crack longer than six inches. Even if your windshield only has a one-inch crack, it’s illegal to drive if it blocks your view of the road. The same goes true for any other kind of windshield damage (chips, stone bruises, or star/bull’s eye fractures). In New York, motorists can’t drive a car that has an 11-inch (or longer) crack on the windshield. But if part of the damage is within the windshield wiper’s clearing area, it’s already illegal to drive your car. The bottom line is, state laws make it illegal to drive with a cracked windshield. They may vary, such as in the case of length or size of damage, but they all share a common denominator. That’s to keep the roads safe from the potential hazards cracked windshields bring. 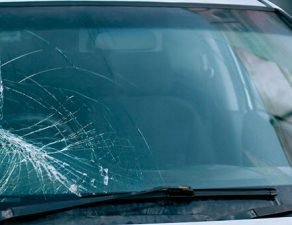 Driving with a cracked windshield is dangerous, period. You don’t want to become part of the scary statistics of fatal or injury-causing crashes, do you? So, as early as now, have that damaged windshield replaced or repaired. Visit our site now for more information. We can help you find the best windshield replacement for your car. How Can Your Windshield Save Your Life in A Collision with a Train?